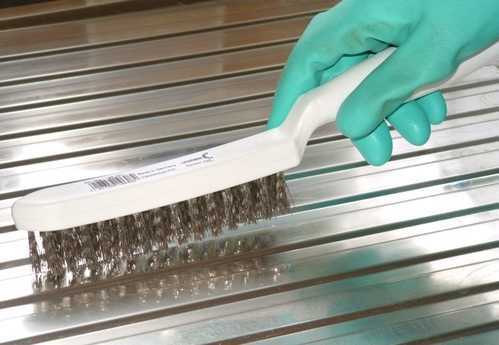 Anvil offers a quality wire hand brush range with a choice of brass or stainless steel wire fill, manufactured by Lessmann of Germany. These brushes comply with the hygiene charter of the FEIBP (European Brushware Federation) and are accredited for use in the food industry. Ideal for commercial kitchens and for cleaning food & drink production machinery. If the hand wire brush you're looking for is not shown please contact us, as we do not as yet have our full stock listed.